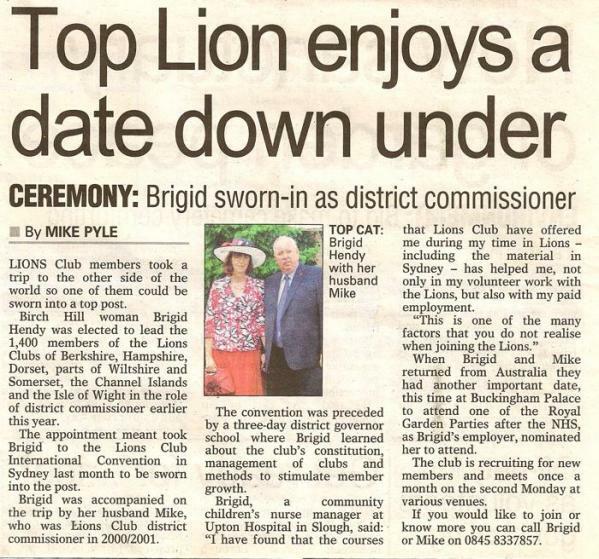 Lions are often known as Britains "best kept secret", so our club endeavors to get involved with the local press whenever possible. 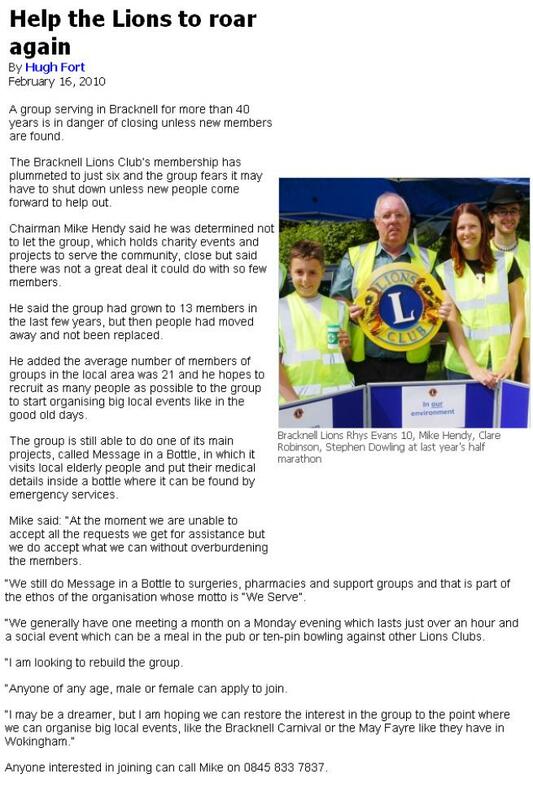 Good press coverage can lead to an increase in membership which for a small club like ours is vital. Please scroll down to see below some recent press articles. Plus we had an interview with Jamie Crick on BBC Radio Berkshire about the show too! 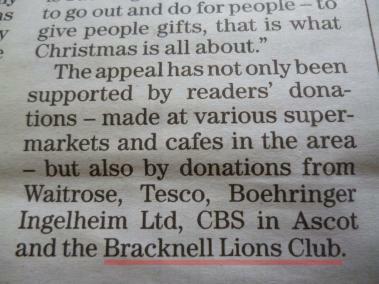 Web article here with Bracknell Lions featured in photos 1,7,12 and 18! 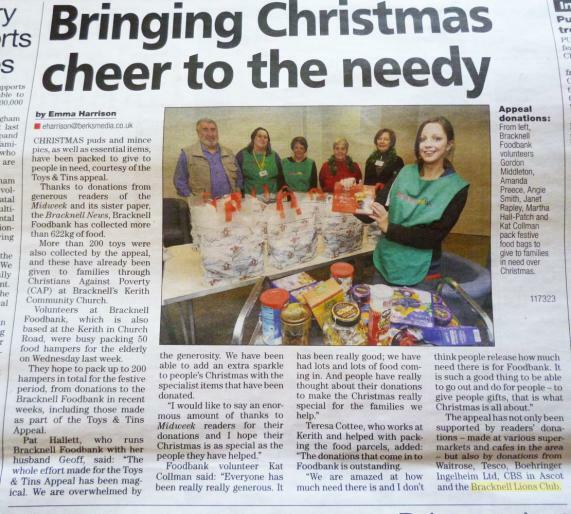 Covering our donation to the Kerith Centre Food Bank - December 21st 2011. 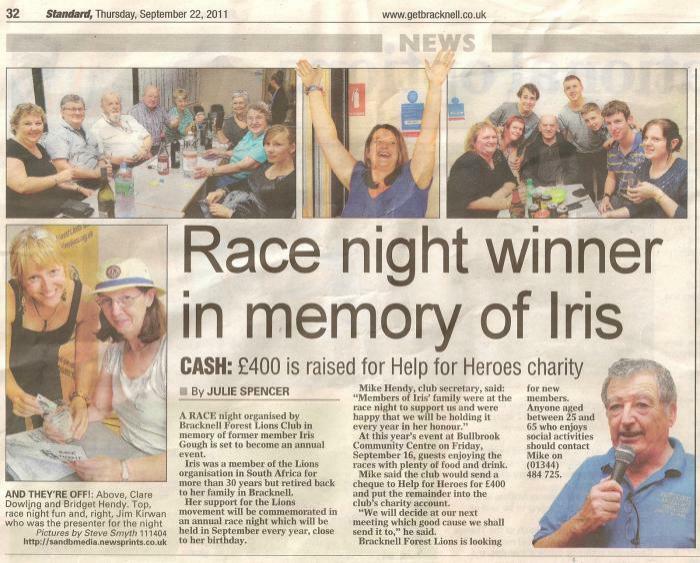 Covering Bracknell Lion Brigid's brave abseil for the Alexander Devine Trust- 12th October 2011. Advertising the Lions Race night on the 16th September. Link here to the article online. Rebuilding of homes in Tsunami-hit Sri Lanka.